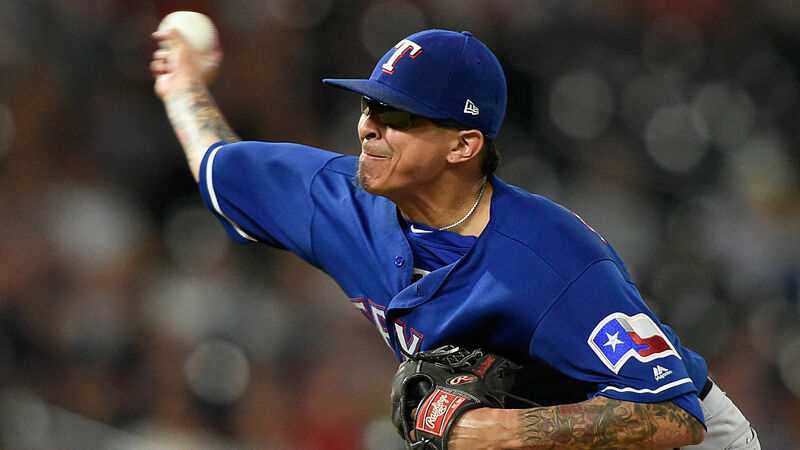 The NL Central-leading Cubs made a move late Thursday to strengthen their pitching staff, acquiring right-hander Jesse Chavez from the Rangers in exchange for minor league left-hander Tyler Thomas. The deal was announced after Chicago defeated the Cardinals 9-6 at Wrigley Field. Chavez, 34, could work in the Cubs’ rotation or bullpen. He was exclusively a reliever for Texas this season (3-1, 3.51 ERA in 56 1/3 innings) but worked multiple innings in 18 of his 30 appearances. He threw five innings once and four innings twice. Last season with the Angels, Chavez made 21 starts and 17 relief appearances. Chicago (56-38) has a need for relievers and starters. It placed closer Brandon Morrow (biceps inflammation) on the 10-day disabled list prior to Thursday’s game and starter Yu Darvish (triceps tendinitis) reportedly is not close to returning from the DL. The Cubs are second in the NL with a 3.57 team ERA, trailing only the Dodgers. Thomas, 22, was the Cubs’ seventh-round selection in the 2017 MLB Draft out of Cal State Fresno. He posted a 2.88 ERA and a 9.7 K/9 ratio in 15 games (14 starts) for Single-A South Bend (Midwest League) this year. The Rangers (41-56) are out of playoff contention in the American League and are looking to sell off parts ahead of the July 31 nonwaiver trade deadline. The Star-Telegram noted that other Texas veterans, such as Adrian Beltre, Cole Hamels and Jake Diekman, are available. Ken Rosenthal of The Athletic was first to report the trade.